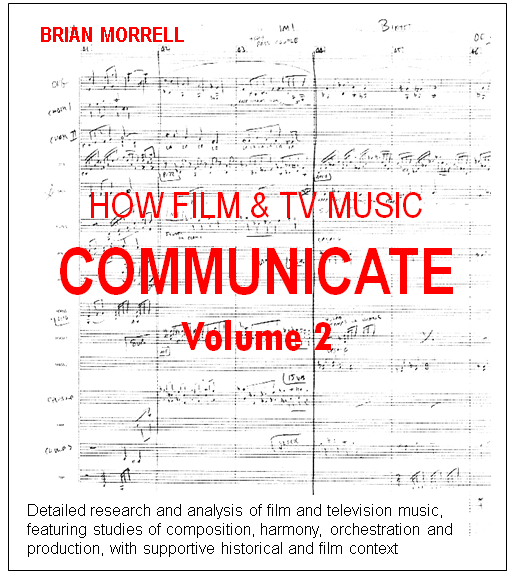 The third volume of my series entitled ‘How Film & TV Music Communicate’ is now available for free download. So far the first two books have been downloaded over 30,000 times and, judging on emails I have received, readers have enjoyed them. 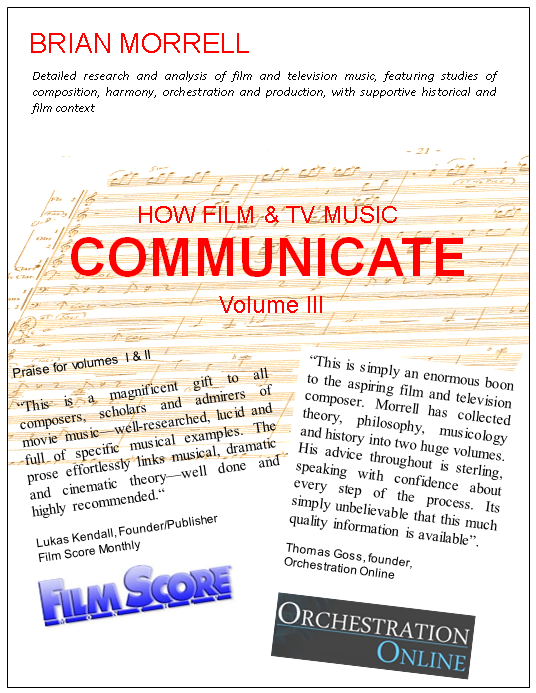 It’s great to have written books that people have found to be helpful and insightful and it’s good to know so many people are interested and passionate about film music. I have decided to have a ‘contribute button’ in case anyone wants to, or is able to contribute to the costs involved in the production of the books. This is voluntary and the books are still available for free. 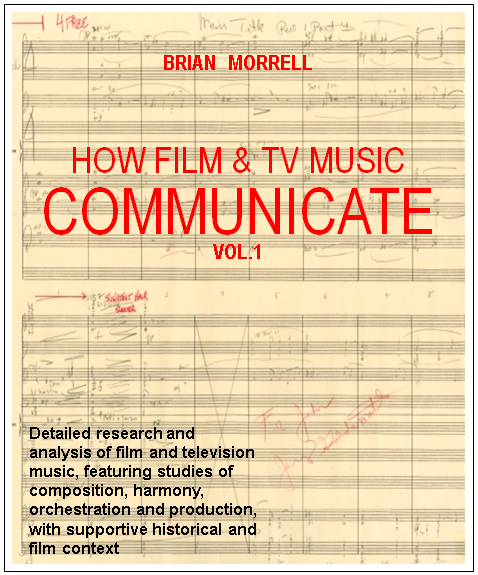 brianjamesmorrell [at] yahoo.co.uk For anyone who might be interested, Leeds College of Music, a music conservatoire where I work as Principal Lecturer, will be running a BA course in Film Music from September 2016. This is the first of its kind in the UK; it features dedicated 1-2-1 composition tuition and a whole host of modules which cover composition, orchestration, music production and history as well as modules which cover the film music industry and film theory. The course will feature a team of dedicated film music experts, practitioners and TV and film directors. It will also benefit from the involvement of high-profile visiting artists. 06. Jurassic Park and E.T.